High-rise in trouble. The Bijlmermeer in Amsterdam. One of the objectives of the COST action Crime Prevention through Urban Design and Planning is to produce a series of publications and make them available to a broader audience. We are happy to present this time the workshop publication entitle: “High-rise in trouble. The Bijlmermeer in Amsterdam”. You can download it directly here or by visiting the download centre and searching under “results”. In 1933, a famous conference of world-leading urban planners and architects was held on a steamer in the Mediterranean sailing between France and Athens. The group gathered for the fourth time and was called CIAM (Congrès International d’Architecture Moderne). On the way, the architects talked a lot about the theme of ‘the functional city’. The results of this steaming conference were summarized 10 years later by the Swiss architect Le Corbusier in the Charter of Athens (La Charte d’Athènes, 1943). The charter is divided into analyses (observations) and recommendations. CIAM was fighting against the extremely dense, polluted and unhealthy situation that existed in most cities. Light, air and space were seen as the solution—as well as the segregation of transportation routes for cars and dwellings that “will rise in its own surroundings, in which it will enjoy the sunshine, clear air, and silence.” And also decisions about urban density were seen as of the utmost importance: “To determine the urban densities is to perform an administrative act heavy with consequences” (CIAM 25; recommendation). Hence the CIAM ideas might have been right in the first place because cities were indeed too dense, polluted, noisy and unhealthy. But the CIAM solution has been too extreme, resulting in simply too much public space that is impossible to survey and maintain. Too often the ordinary people living in their beautiful and enlightened apartments in the CIAM high-rise ‘habitation machines’ are simply lost in a green ocean of public space. The result? Feelings of insecurity and fear of crime. But even worse: these neighbourhoods resulted in real crimes like robbery and violence because there simply is no surveillance and no opportunity for feelings of territoriality to flourish. 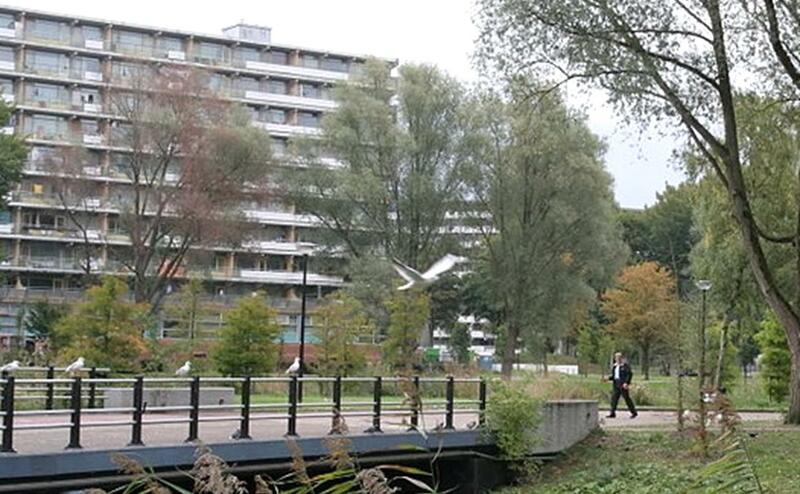 The case study of the Bijlmermeer (Amsterdam, The Netherlands) further explores this relation between CIAM low-density high rise and fear of crime, feelings of insecurity and crime. The solution was extreme and rather un-Dutch: demolishing two-thirds of the high rise at a cost of about one and a half billion euros.